A Florida Public Adjuster is the BEST professional to help with your Kissimmee Hail Claim. Why you should NEVER hire a roofer to represent your hail claim: 1. They are NOT licensed to do so! 2. The damages often go beyond your roof! 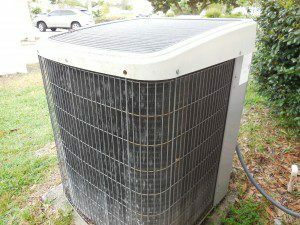 Can’t I hire a contractor or roofer to help with my hail claim in Kissimmee? After most hail storms the streets and mailboxes will be filled with roofers and other contractors looking for business. BE CAREFUL! Most of these companies are storm chasers and as much as they may make it look as though they are a local business, they are not and will most likely disappear as soon as their pot of gold runs dry. Often times these companies will close their business just to open up under a different name during the next storm, reputable businesses do not change their names regularly as a good name is the most valuable possession of any business. These roofers and contractors will most likely attempt to get you to sign a contract with an “Assignment of Benefits” clause written into it. DO NOT SIGN a contract with that language in it unless you first discuss it with an attorney and fully understand what it means as you are basically handing over the benefits of your insurance policy to them. This even gives them the right to sue your insurance company as if they were the policyholder! These contracts can be very dangerous and the only entity that typically benefits from these contracts are the roofers or the contractors that convinced you to sign it. Free Kissimmee Hail Claim Consultation with a Florida Public Adjuster! The only professionals that are properly licensed and suited to help with a hail claim in Kissimmee are licensed Florida Public Adjusters, preferably one that has experience handling hail claims. How can Florida Public Adjusters help with a hail claim? The truth is, not all Florida Public Adjusters can help with a hail claim. It takes an adjuster with experience to properly assess your hail damage and unfortunately, not all adjusters come with the same skill sets and past experience. Prior to becoming a licensed Florida Public Adjuster, I was a licensed Independent Adjuster and was considered a ‘Cat Adjuster’ which is short for Catastrophe Adjuster. As a Cat Adjuster, I worked for the big insurance companies and would be deployed to cities throughout the US that suffered catastrophic damages due to Hail, Hurricane, Flood, etc… It was during that time that I adjusted hundreds of hail damage claims and learned how to properly identify and document hail damage. Through this past experience I also learned how the insurance companies wanted to adjust the losses as well as how I felt they should have adjusted the losses. They were not always in line with each other. Now as a licensed Florida Public Adjuster, I am able to combine all of the skills that I initially learned as a Cat Adjuster with what I know now as a public adjuster to ensure that all of my policyholder clients receive every last dollar that they deserve for their loss. How do you know if you should file a Kissimmee Hail Claim? 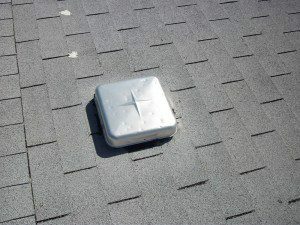 Hail Damage is easiest to first locate on soft metal items such as roof vents. If you live in or visit Florida often, you understand that the hail storms like the one that hit Kissimmee on March 26th do not happen very often. Most hail storms in Florida involve hail that is no larger than a nickel and does not cause any widespread damage. The storm on March 26th of 2016 involved hail stones exceeding 1″ in diameter. The hail was seen throughout Osceola County with infinite reports coming in from Poinciana, Kissimmee, Mount Dora & Tavares. This size hail is big enough to cause substantial damage, but small enough that Adjusters lacking in experience could easily inspect a property without fully identifying the extent of the damages. Here are a few tell tale signs that you may want to either file a claim with your insurance company or at least engage the services of a professional to further investigate your property for Hail Damage. You have seen several postcards from Roofers & Contractors in your mailbox and throughout the neighborhood knocking on doors. You have seen neighbors installing or repairing their roofs in your neighborhood. You can visibly see hail damage to your roof. We are offering a Free Claim Consultation with a Florida Public Adjuster in the event that you wish to discuss your Kissimmee hail claim. We are able to assist at any point throughout the claim process. We often will file claims for our clients, however we also get hired after a claim is denied or underpaid by the insurance company. If you are questioning if you should file a hail damage claim or your claim was already denied, underpaid or you are currently dealing with an unreasonable adjuster, we can help! Do not sit back and let the Insurance Company and their Adjusters dictate the outcome of your claim! Call 800-801-2099 and find out more about how as Florida Public Adjusters we can help with your Kissimmee hail claim. We are offering a free Claim Consultation with a Florida Public Adjuster to all policyholders that are looking for help with a hail claim in Kissimmee.